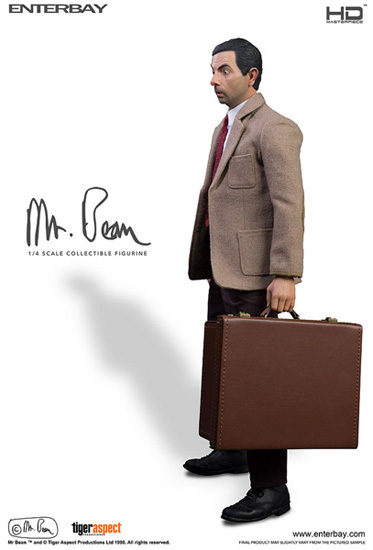 Many excitement is generated with the news of a life like picture of Mr. Bean 1:4 toys to be produced. 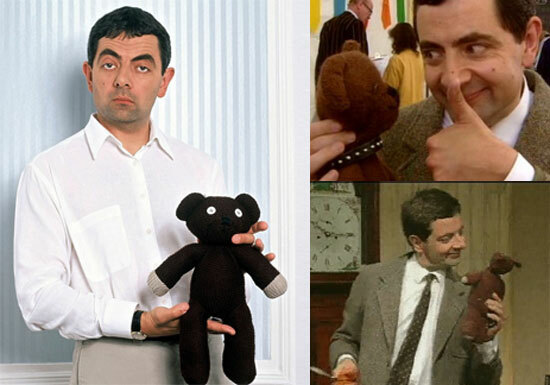 It was from Enterbay. 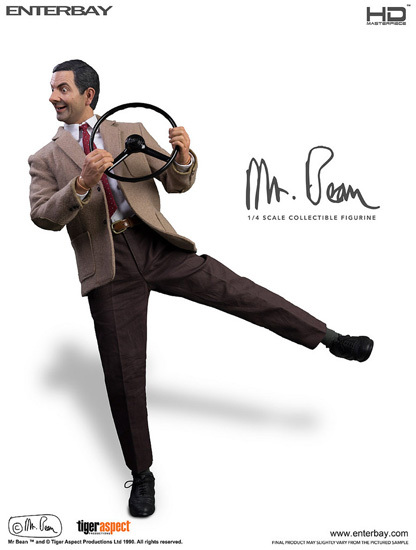 There was also a steering wheel. 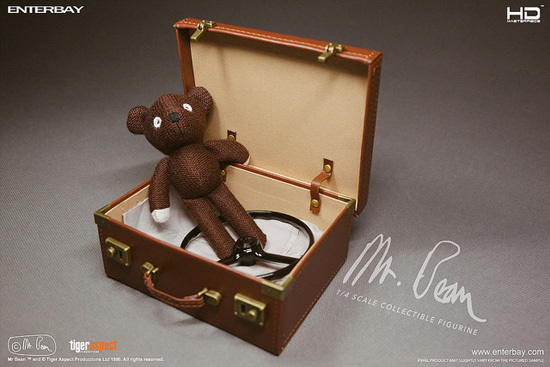 The suit case can fill up with the Steering wheel and the Teddy bear! 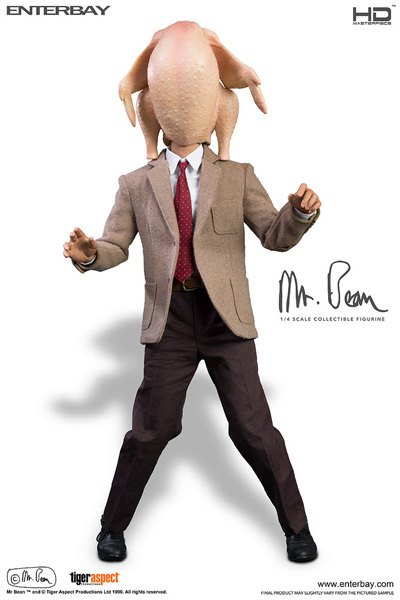 The bonus was the Turkey that stuck on his head when he tried to cook for Christmas or Thanksgiving. 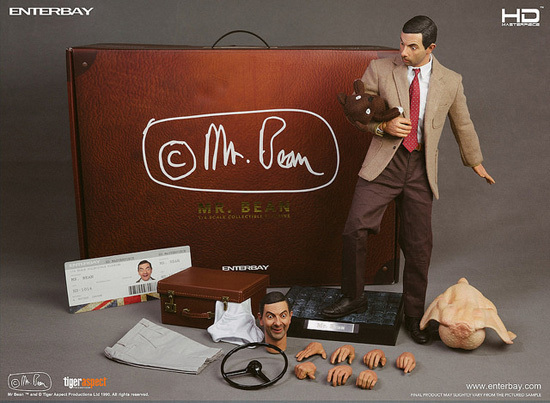 It comes with 2 heads, under pants, shorts, few pair of hands and even a air ticket! 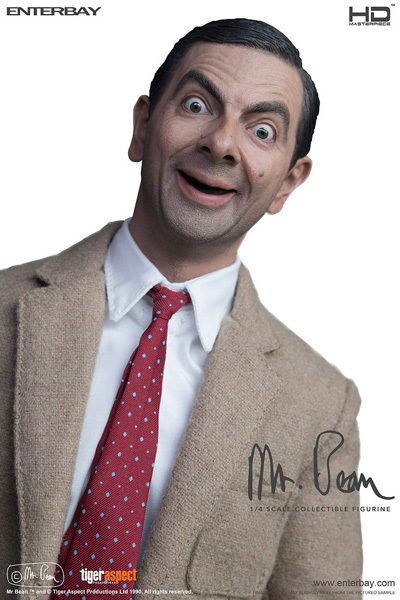 This is one of his signature look for Mr Bean. 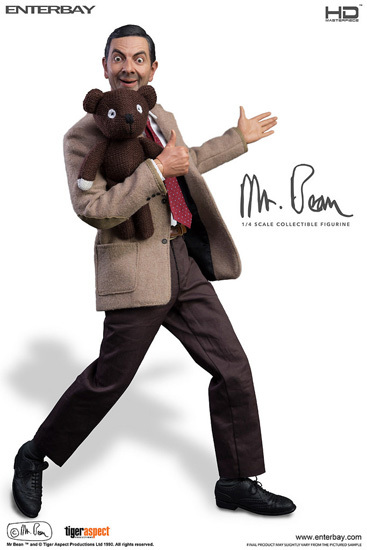 Many now request for a 1:6 with is a 12" figure release. 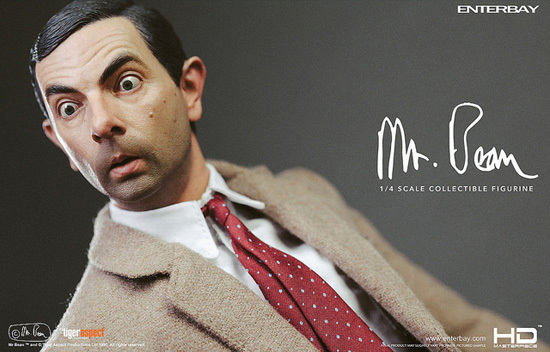 Nonetheless on the product photo Enterbay did a good job on bring Mr. Bean to the collector world.